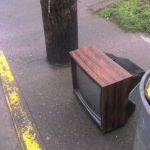 Recycle your TV! Don’t dump it! 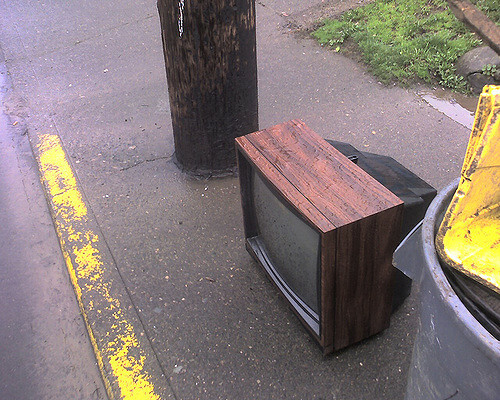 Please Recycle your TV. Dumping it in the trash is illegal and TV’s have harmful metals that could end up in our water supply. By recycling your TV, you help the environment, wildlife and yourself. There are a couple of places to recycle a TV in Indianapolis. The companies listed below offer DROP OFF SERVICE. Some are free and others charge a small fee. Up to two LCD, Plasma, or LED televisions for FREE. Each additional LCD, Plasma, or LED television will incur a $10.00 per television processing fee. THESE FEES ARE STRICTLY FOR PUBLIC DROP OFF CUSTOMERS ONLY. NOTE: Public drop off customers have to go around the back of building to dock B. Help is available at the dock!